Hot Cross Buns! Easter cooking demonstration with Fiona Roberts - Adelaide Central Market: The City of Adelaide's premier food destination. Over 70 traders under one roof. 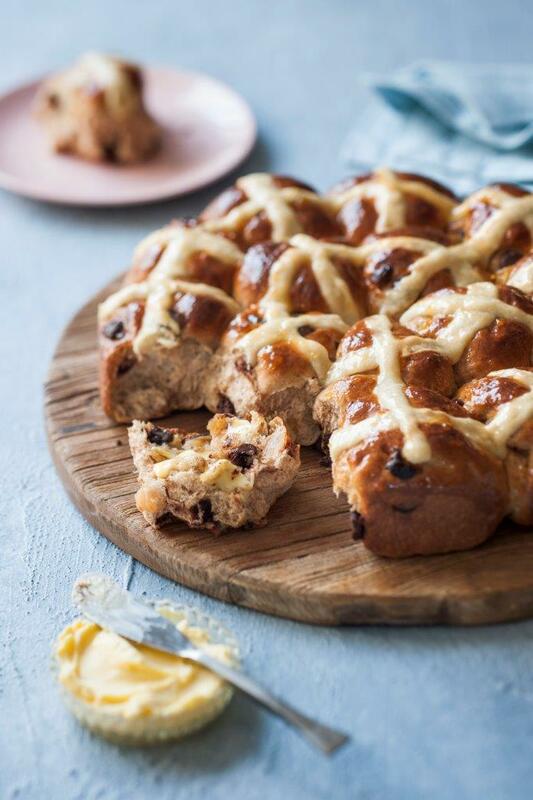 Join Fiona Roberts and WildLoaf owner Fanis Katsarelias as they demonstrate how to make a Wildloaf speciality – Apple & Cinnamon Hot Cross Buns! The recipe is in our new book Adelaide Central Market: Stories, People & Recipes. You can purchase the book here.